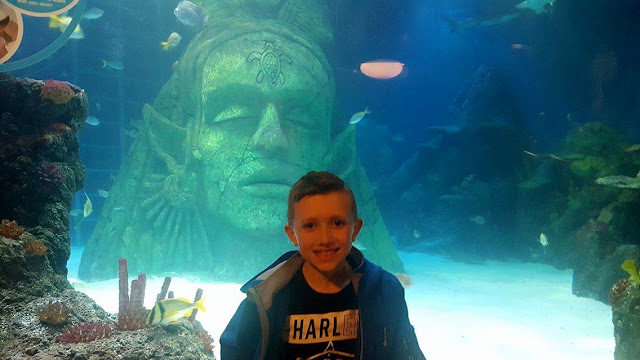 As a family, we love being able to enjoy fun days out together, but isn't it great when you come across an attraction that isn't only fun, but also educational too? In our previous post, we wrote about our recent visit to the Legoland Discovery Centre, and situated just next door to there, is the wonderful Manchester Sea Life, which you can visit on its own, or for added value you can buy a combined ticket to both attractions. On arrival we joined a short queue which was for customers who were pass holders or who had pre booked tickets. There was another queue for guests wishing to pay to visit on arrival, and this was also short at the time of our visit which was just after 1pm on Monday. A member of staff spoke to each customer waiting to make sure that they were in the right queue, and to also make sure that any customer queries could be answered straight away prior to getting to the ticket desk. I think that this is a great idea as it prevents any hold ups being caused in the queue and keeps things moving quickly. Once we had our tickets we made our way towards the entrance and had our photograph taken together before waiting to begin our Sea Life adventure. The start of the Sea Life experience begins with a short educational talk, which helps to stagger entry into the attraction and make sure that it is not too busy inside. 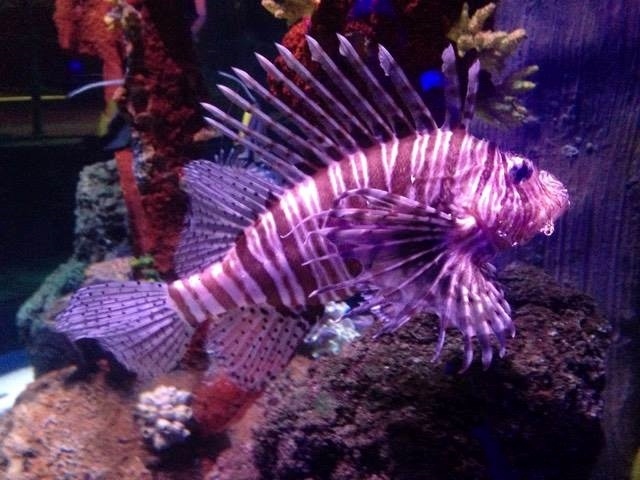 We have visited several Sea Life attractions both in the UK and in the USA, however the beginning of this particular one is my personal favourite. We entered into a large room with a staff member and stood behind some barriers, the lights then dimmed and we were taken on a beautiful mini adventure to Turtle Beach, which taught us all about sea turtles. With the help of some clever lighting trickery the talk became quite magical and my youngest son Riley found it fascinating. I was very pleased to see that the talk appealed to the younger ages as it can often be hard to maintain Riley's attention with lengthy talks, but the visuals made it a lot more interesting for him. We were also told about the resident Sea Life turtle Ernie and Riley couldn't wait to try and spot him inside. After five minutes we were able to enter the main part of the attraction and were ready to see thousands of wonderful and amazing creatures. Our journey began in the Shoaling Ring where we became surrounded by beautiful fish circling around us before moving on to the Rocky Hideout. This area was one of my children's favourite areas of the attraction, as there was so many wonderful creatures to spot and learn about, and children were able to climb through tunnels, enter small caves, and stand under glass bubbles within the tanks so it felt like they were underwater with the fish. This made the hideout area feel quite interactive and Riley enjoyed trying to find new places to seek out some fish and other underwater creatures. 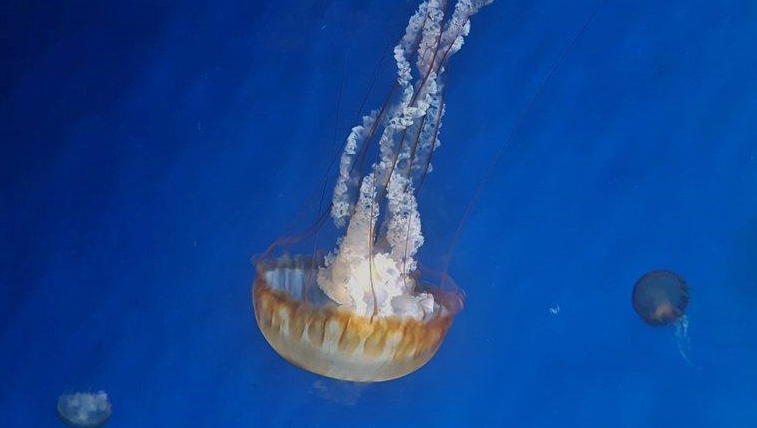 We then made our way to the Jellyfish Seas where there was a lovely large window to view the amazing jellyfish. There were a number of coloured buttons to the left which allowed you to change the colour of the mesmerising display tank. This really made the them look stunning and you could see their every detail. Next up was the Shark Shipwreck, which featured a whole host of wonderful fish. 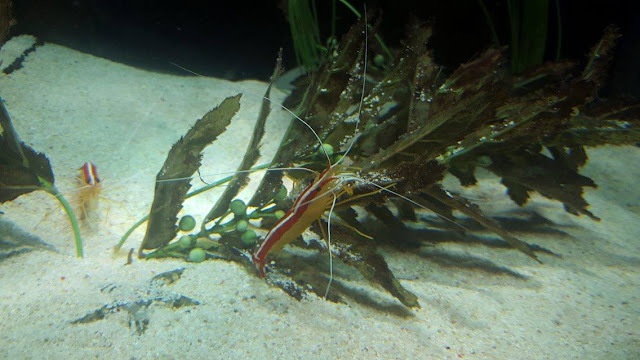 The appearance of some were literally amazing, and despite visiting other Sea Life centres in the past, I definitely saw some creatures that I had never seen before. As we made our way out of the Shark Shipwreck area, we entered the amazing Underwater Ocean Tunnel, where my children were very quick to spot the beautiful Sea Turtle Ernie. He swam so gracefully through the water and I literally could have stood there and watched him for ages. Before long the children became distracted from Ernie though, as they spotted a large shark swimming above and became very excited at being only inches away. Our underwater adventure continued into Turtle World, where we saw some beautiful turtles swimming amongst the water and climbing on the rocks. Tyler the Talking Turtle provides you with interesting facts and information and there is the opportunity to get hands on in the interactive zones. 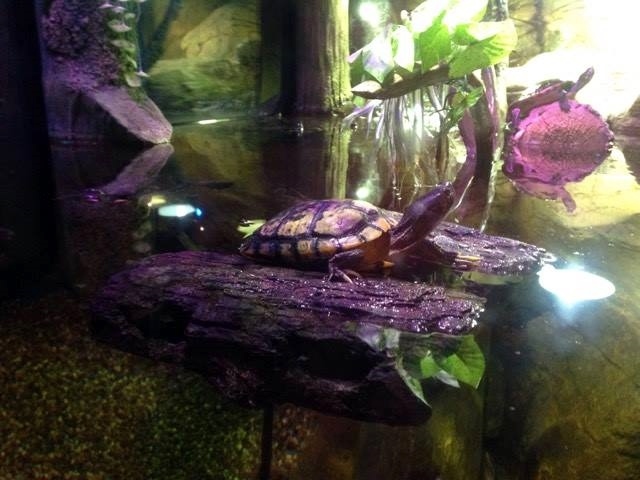 We were very impressed with how well cared for the turtles looked, with all tanks being really clean and there being ample space for the creatures. The Tropical Ocean area that followed was beautiful with an array of hundreds of colourful ocean fish swimming effortlessly through the water. You could even catch a glimpse of some sharks and rays, and at certain times, you can even spot some of the Sea Life divers or SeaTREK experience guests exploring the underwater world. 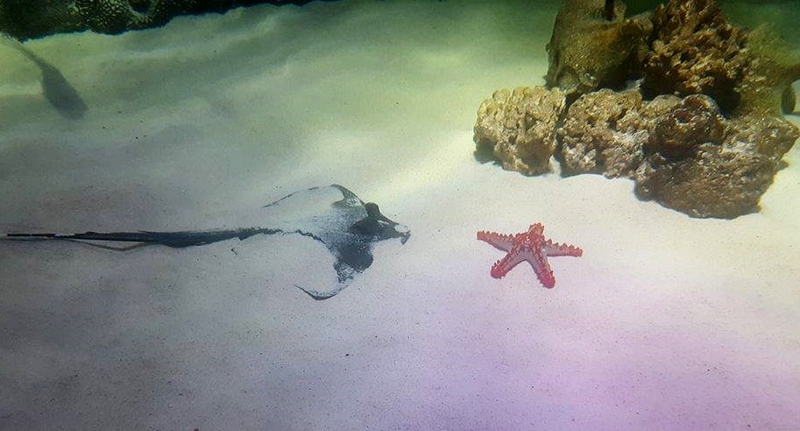 My son Ben, really enjoyed the Stingray Bay area as he loved to watch the rays swim swiftly through the tank, with what looked like beaming smiles on their faces. 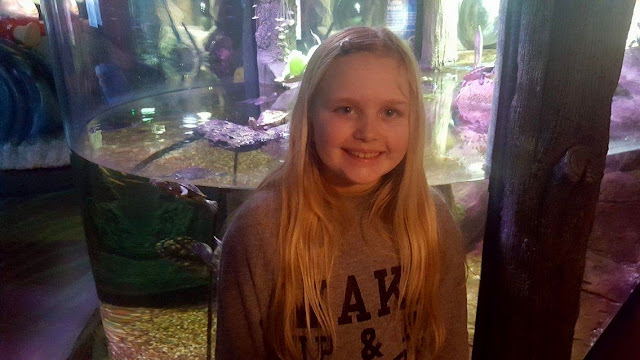 All my children enjoyed reading the fun facts that were located around the whole attraction and learnt lots of new information, that my daughter in particular can't wait to tell her friends. We also came across an added piece of fun that we weren't expecting in the form of a soft play area. This wasn't huge, but really that was ideal, as it meant that you could see your child easily and there was no worry about you losing sight of them. It was busy, but we noticed that some children didn't stop here for long and so it wasn't as busy as the main attraction and it was a nice place to stop for 15 minutes to have a little rest whilst our kids had a play. 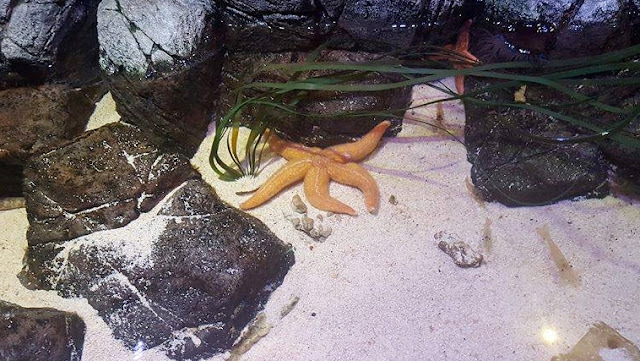 Once they had burnt off a lot of energy we spent some time in the Rockpools area where you were able to get up close to some beautiful sea life and even touch some of the creatures. Experts were on hand to supervise, and answer any questions and my children enjoyed learning about the creatures habitat and being able to touch a starfish. Overall, we had a lovely experience at Manchester Sea Life. The staff members we met were all friendly and knowledgeable and they were able to answer any questions that my children had. The walkways in between each area can get busy, and so I would imagine it could be quite hectic if school or group visits are taking place, so it may be best to call ahead and check if any are booked in before visiting, as this may impact your visit. 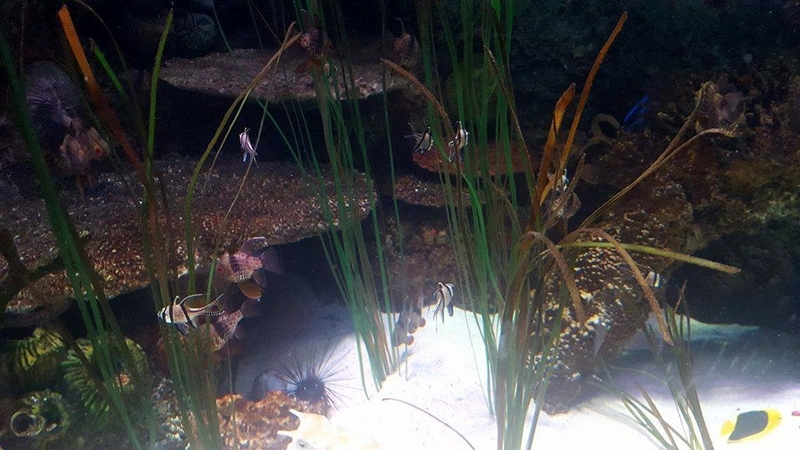 The displays are all wonderful, and all the creatures look very well cared for within the tanks. The addition of informative facts around the attraction make it a fun place to learn, and the interactive areas make it exciting and interesting for children. In total we spent around 2 hours here, but combined with the Legoland Discovery Centre next door it can be a full day out to enjoy as a family. The introduction to the attraction here is my favourite of any other Sea Life attraction we have been too, and it also made my children eager to get inside and try and spot their resident turtle Ernie. Tickets are available online here and cost £15 for an adult entry, and £11 for a child aged 3-17. Under 3's are admitted free of charge. 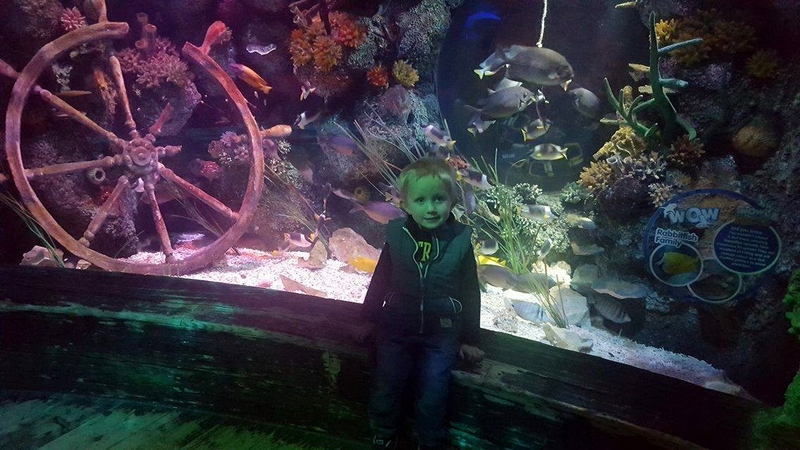 For extra value, you can also buy combination tickets which combine your trip to Manchester Sea Life with a trip to the Legoland Discovery Centre, so you can enjoy both attractions on the same day. However should you run out of time the Legoland Discovery Centre entry is valid for 90 days from the date of purchase meaning you can come back at a more convenient time if need be. These tickets cost £25 for an adult and £16 for a child aged 3-17 when purchased online. Under 3's are admitted free of charge. You can also purchase tickets on arrival at the attraction, however these will be at a slightly higher price than the saver option online. Disclaimer: We were provided with complimentary admission to the attraction for the purpose of providing an honest and impartial review. All opinions and photographs are my own. Ticket prices and opening time when stated, were correct at time of writing.